The rates are per room with Buffet breakfast included. In the holiday periods of May 1, April 25, Ferragosto,long weekend of All Saint’s Day, the minimum stay is 2 nights. Note: Special business conditions are available for any time of year. 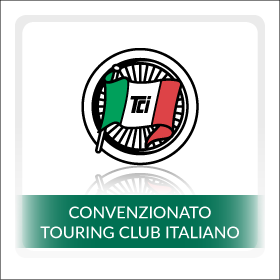 Free voucher to visit sites of historical interest including Palazzo Viti, Santa Maria Maddalena Study Center, Diocesan Museum. The welcoming atmosphere created by the wood décor and fabrics in warm shades invites the guest to relax. Every room has special characteristics that distinguish it from the others: different furnishings or a panoramic view of the magnificent Church of San Giusto.